Being a homeowner means that your home is yours – even the things that need fixing. Is a faucet leaking? Are floor boards squeaky? Is a light-switch not working? Those issues are all yours to tackle. But what projects can you do yourself and what ones require the help of a trained professional? Taking on projects yourself can save you time and money. But taking on the wrong projects can lead to unending amounts of stress or end up costing you more money than if you had hired someone in the first place. 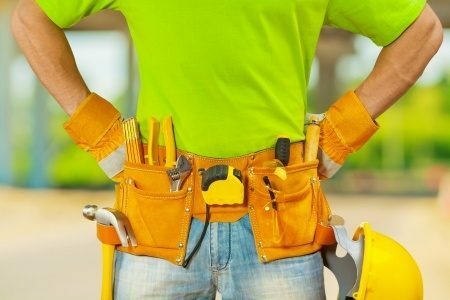 NAR’s consumer website, HouseLogic.com, lets you know which projects need a seasoned hand and a beginner can undertake. Orange County home sales increased by 2.08%. Prices increased with the average sales price up 9.74% and the median price increased by 11.28%. Market times decreased by 10 days compared to August 2015. Osceola County home sales decreased by 4.92%. Prices increased with the average sales price up 8.65% and the median price increased by 10.12%. Market times decreased by 8 days compared to August 2015. Seminole County home sales increased by 5.92%. Prices increased with the average sales price up 11.9% and the median price increased by 15.49%. Market times decreased by 5 days compared to August 2015. Residential sales in Lake County home sales increased by 15.37%. Prices increased with the average sales price up 14.19% and the median price increased by 13.12%. Market times decreased by 12 days compared to August 2015. Polk County home sales increased by 17.2%. Prices increased with the average sales price up 10.55% and the median price increased by 12.98%. Market times decreased by 21 days compared to August 2015. Decades ago, it was not uncommon for people to work at the same job for the entirety of their professional career. Similarly, many people kept the same home their whole lives. Those trends, however, have shifted. Today most homeowners buy and sell several homes throughout their lifetime. The reasons to sell one’s home vary—changes in family situations, neighborhood transformations, financial changes, and many others. However, the most popular reasons sellers decided to leave their home for another are quite simple—people moving to new areas and outgrowing their homes. According to the National Association of REALTORS® 2014 Profile of Home Buyers and Sellers, 15 percent of sellers sold their previous home because the place was too small. That number was much higher (30 percent) among first-time sellers. Additionally, another 15 percent sold their last home due to job relocation. Are you considering selling your home? Get a free current market analysis here. Take a look at Orlando FL Real Estate Market Trends for April. Orange County saw 324 more homes sold in April 2015 than April 2014, a 21.43% increase. The average sales price increased by 2.1% and the median sales price increased by 7.74% from April 2014. Market times increased by 4 days or 6.25%. Osceola County home sales increased by 28 homes, a 4.95% rise. Prices increased with the average sales price up 3.9% and the median price increased by 3%. Market times increased by 9 days compared to April 2014. Seminole County residential sales increased 10.56% with 70 more homes sold in April 2015 compared to April 2014. The average sales price increased 6.01% and the median price increased by 7.06%. Market times rose by 1 day. Residential sales in Lake County increased in April 2015 with 79 more homes sold, a 14.66% difference. The average sales price increased by 6.83%, and the median sales price increased by 6.32% for the month compared to April 2014. Market times remained the same. Polk County saw 81 more homes sold in April 2015 compared to April 2014, a 9.56% increase. The average sales price increased 11.43%, and the median sales price increased by 12.09%. Market times dropped by 1 day. Information courtesy of Orlando Real Estate Expert Teri Isner and the Orlando Avenue Top Team. Access Teri’s one-stop Orlando FL home search website. Teri Isner is the team leader of Orlando Avenue Top Team and has been a Realtor for over 24 years. Teri has distinguished herself as a leader in the Orlando FL real estate market. Teri assists buyers looking for Orlando FL real estate for sale and aggressively markets Orlando FL homes for sale. You deserve professional real estate service! You obtain the best results with Teri Isner plus you benefit from her marketing skills, experience and ability to network with other REALTORS®. Your job gets done pleasantly and efficiently. You are able to make important decisions easily with fast, accurate information from Teri. The Orlando Avenue Top Team handles the details and follow-up that are important to the success of your transaction. Orange County saw 434 more homes sold in March 2015 than March 2014, a 30.41% increase. The average sales price increased by 5.19% and the median sales price increased by 10.52% from March 2014. Market times increased by 8 days or 12.9%. Osceola County home sales increased by 132 homes, a 27.% rise. Prices increased with the average sales price up 1.85% and the median price increased by 7.74%. Market times increased by 7 days compared to March 2014. Seminole County residential sales increased 20.17% with 120 more homes sold in March 2015 compared to March 2014. The average sales price increased 3.42% and the median price increased by 11.32%. Market times decreased by 3 days. Residential sales in Lake County increased in March 2015 with 81 more homes sold, a 14.73% difference. The average sales price increased by 20.91%, and the median sales price increased by 14.22% for the month compared to March 2014. Market times decreased by 2 days. Polk County saw 92 more homes sold in March 2015 compared to March 2014, a 11.9% increase. The average sales price increased 10.88%, and the median sales price increased by 15.04%. Market times dropped by 1 day. Even though most people start their New Year’s resolutions on January 1, some people add resolutions as the year progresses. For some, that goal is realizing the dream of homeownership. Beginning the process of buying a home can be daunting, but it is easy enough to begin working on the first step – saving for a down payment. According to the National Association of REALTORS®’ 2014 Profile of Home Buyers and Sellers, 65 percent of home buyers utilize their savings account for a down payment; however, buyers find many other ways to finance a down payment, including selling stocks or bonds, relying on gifts from friends or relatives, retirement funds or using the proceeds from another home sale. Beginning to build savings should be a priority for potential buyers because it can take some time. According to NAR’s report, it took half of buyers a year or less to save for a down payment, while another 19 percent said it took between one and two years to build their savings account. Additionally, 29 percent said they needed more than two years to save. Take a look at January’s real estate sales statistics. 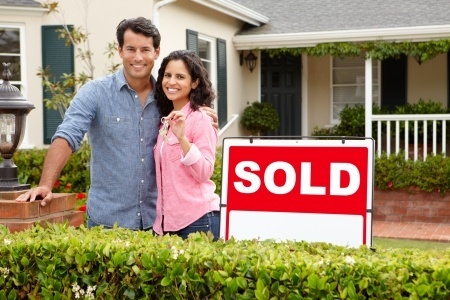 Orange County saw 181 more homes sold in Jan 2015 than Jan 2014, a 16.06% increase. The average sales price increased by 2.22% and the median sales price increased by 5.05% from Jan 2014. Market times increased by 13 days or 18.84%. Osceola County home sales decreased by 22 homes, a 5.47% drop. Prices increased with the average sales price up 3.44% and the median price increased by 5.71%. Market times increased by 6 days compared to Jan 2014. Seminole County residential sales increased 10.23% with 44 more homes sold in Jan 2015 compared to Jan 2014. The average sales price increased 2.82% and the median price increased by 4.79%. Market times increased by 5 days. Residential sales in Lake County decreased in Jan 2015 with 22 less homes sold, a 5.53% difference. The average sales price increased by 14.48%, and the median sales price increased by 13.87% for the month compared to Jan 2014. Market times decreased by 6 days. Polk County saw 12 more homes sold in Jan 2015 compared to Jan 2014, a 2.07% increase. The average sales price increased 5.84%, and the median sales price increased by 5.9%. Market times increased by 9 days. 2015 is off to a great start for home buyers according to an executive order announced last week authorizing FHA to cut .5 percent from the annual mortgage insurance premium for the FHA backed loans with terms greater than 15 years. For most FHA loans this will reduce the annual premium from 1.35 percent of the loan balance to .85 percent. Loans with balances above the loan limits in effect in most areas and with current MIP of 1.50 to 1.55 percent will see new premiums of 1.00 or 1.05 percent respectively. The upfront premium for all loans will remain unchanged at 1.75 percent. Take a look at December’s real estate sales statistics. Orange County saw 287 more homes sold in Dec 2014 than Dec 2013, a 19.86% increase. The average sales price increased by 5.78% and the median sales price increased by 7.27% from Dec 2013. Market times increased by 9 days or 16.07%. Osceola County home sales increased by 126 homes, a 26.98%increase. Prices decreased with the average sales price down 5.64% and the median price increased by 9.15%. Market times increased by 20 days compared to Dec 2013. Seminole County residential sales decreased by 1.50% with 9 less homes sold in Dec 2014 compared to Dec 2013. The average sales price increased 3.17% and the median price increased by 3.64%. Market times increased by 11 days. Residential sales in Lake County increased in Dec 2014 with 99 additional homes sold, a 20% increase. The average sales price increased by 8.18%, and the median sales price increased by 6.24% for the month compared to Dec 2013. Market times increased by 2 days. Polk County saw 53 more homes sold in Dec 2014 compared to Nov 2013, a 7.21% increase. The average sales price increased 7.86%, and the median sales price increased by 6.3%. Market times dropped 9 days. Information provided by Teri Isner and the Orlando Avenue Top Team. Welcome to your up-to-the-minute October 2014 edition of Market Snapshot for Windermere Florida compliments of Teri Isner. This report is personalized with charts including market activity for homes in the 34786 zip code. Let’s take a look. Interested in getting a personalized Market Snapshot? Simply visit www.OrlandoAvenue.com, select the Market Snapshot box, and enter the zip code you want to watch. Welcome to your up-to-the-minute October 2014 edition of Market Snapshot for Kissimmee Florida compliments of Teri Isner. This report is personalized with charts including market activity for homes in the 34741 zip code. Let’s take a look. Welcome to your up-to-the-minute October 2014 edition of market snapshot for Celebration Florida compliments of Teri Isner. This report is personalized with charts including market activity for single family homes in the 34747 zip code. Let’s take a look. Market snapshots are also available for Celebration condo and townhome sales. Forget a sea view mansion. CnnMoney.com reports in Hong Kong, parking spaces are some of the hottest properties on the market. Hong Kong is a densely populated city and eager have pushed prices for parking spaces to record highs in recent months with prime spaces now selling for far more than the luxury cars that park in them. In May, a single space in a residential neighborhood on Hong Kong Island went for 4.24 million Hong Kong dollars ($547,000), making it the most expensive parking space ever sold in the territory. Knowing what mere parking spaces are selling for in Hong Kong certainly puts our own real estate market into perspective. Take a look at September’s real estate sales statistics. Orange County saw 214 more homes sold in Sept 2014 than Sept 2013, a 14.7 percent decrease. The average sales price increased by 16.9 percent and the median sales price increased by 15.5 percent from Sept 2013. Market times increased by 9 days or 17.6 percent. Osceola County home sales increased by 121 homes, a 27.2 percent increase. Prices increased with the average sales price up 11.5 percent and the median price increased by 11.1 percent. Market Times increased by 5 days compared to Sept 2013. Seminole County residential sales increased by 10.3 percent with 60 more homes sold in Sept 2014 compared to Sept 2013. The average sales price decreased 3.6 percent and the median price increased by less than 1 percent. Market times increased by 3 days. Residential sales in Lake County increased in Sept 2014 with 71 additional homes sold, a 16.3 percent increase. The average sales price decreased by 2.1 percent, and the median sales price increased by 10.3 percent for the month compared to Sept 2013. Market times decreased by 19 days. Polk County saw 12 additional homes sold in Sept 2014 compared to Sept 2013, a 1.7 percent increase. The average sales price increased 3.1 percent, and the median sales price increased by 7.5 percent. Market times dropped 4 days. It’s still a great time to get your best price on an Orlando home. Discover the value of your home. Information courtesy of Orlando Realtor Teri Isner.Access Teri’s one-stop Orlando FL home search website.